In part 2 of our look at Sussex we made much of the economic problems of Hastings. In this part we will look at a radical proposal to improve the service from London to Hastings and Bexhill. This is the idea to extend the HS1 Domestic service from Ashford to Rye, Hastings and Bexhill by substantially upgrading the currently unelectrified line from Ashford to Ore, just to the east of Hastings. One thing of which we are constantly reminded in rail transport is that a decision regarding one location can have significance elsewhere. Ordinarily we would not look at an unimportant slow single-track line way out in the Kent and Sussex countryside. Its lack of importance currently is indicated by the fact that there is an infrequent service provided by two-car diesel units. In this particular case, how this line is developed may well have a significant effect on rail services both without and within London. Its development (or not) ought to be a factor when considering Sussex services to and from London on the Brighton Main Line as a whole. The HS1 Domestic service from St Pancras to Kent is often seen as something of a minnow in the grand commuter scheme of things. Its launch was almost treated with typical British derision. There was resentment in Kent because the remaining services to London Bridge were slower as a consequence of having fewer trains to provide a comprehensive service to London Bridge from the same number of stations. Business was slow to build up. To add insult to injury the fares went up by more than the normal amount to reflect the improved service – i.e. the additional services provided to St Pancras. Things are very different today, with the number of passengers on HS1 Domestic matching those on Eurostar. Indeed one wonders how Kent would now survive without the service. The current number of passengers on HS1 Domestic is all the more remarkable when one considers that SouthEastern only has half the number of platforms that Eurostar has at St Pancras and also operates much shorter trains. One can listen to the head of SouthEastern talking about the HS1 Domestic series about 9 minutes into this video of the Kent Rail Summit. Possibly more important to our story is the decision by Kent County Council to provide funding to allow the HS1 Domestic service to experimentally stop at Sandwich and Deal around 2011. The economic benefits of this to the area were considered sufficient that it ensured that the service continued to run and this service is now to be written into the franchise. In fact because the HS1 Domestic service has been more successful than anticipated there is now an issue of only just enough rolling stock. The increase in demand for HS1 Domestic services is part of the reason why SouthEastern will now replace the existing services with a loop (illustrated well on the trains4deal website) from January 2015. Note that the line is actually only high speed from St Pancras to Ashford. All things being equal, it would make sense to utilise this option as much as possible with the Javelin train sets (class 395) shuttling back and forward on this high speed line rather than have them trundle around the Thanet coast. Of course all things are not equal and life is more complicated than that. HS1 trains to the Kent coast are now very firmly established and from January 2015 even the sleepy rural station of Martin Mill (annual passengers c 30,000) will have a High Speed service to St Pancras (fastest train 74 minutes). Of course in fact only a portion of the journey would be at high speed with the rest of the journey being no faster than the current service. It is always hard to identify where a transport idea originated from. Successful schemes (and even potentially good looking schemes) seem to have a plethora of people retrospectively claiming credit for “their idea”. Certainly the idea of running HS1 trains to Hastings is a fairly obvious one – if one knows the relevant railway geography. It would appear that the first people to take it seriously, or at least seriously outside Network Rail, were those at Railfuture. At the time they weren’t even looking at the issue but were trying to build a case for re-opening Uckfield-Lewes and realised that they mustn’t fall into the trap of looking at that re-opening in isolation. When they commissioned a more broad-based study of Sussex the prospect of running to St Pancras from Hastings looked like something that might produce a greater benefit at less cost. No doubt there was also an initial belief that it would be an easier task, as it would not involve re-opening any closed line or building any new railway. The idea was taken up enthusiastically by the Hastings MP. Politicians with their pet rail schemes are not always seen as good thing. Certainly there have been some cases where this has not worked well and it is said we would probably never have had Stratford International built for Eurostar if it had not have been for the lobbying of the late Tony Banks, former MP for West Ham. We also have a rarely used third platform at Mudchute DLR station and this is said to be because it was easier to build the thing than convince the MP involved that it would really serve no purpose in future. 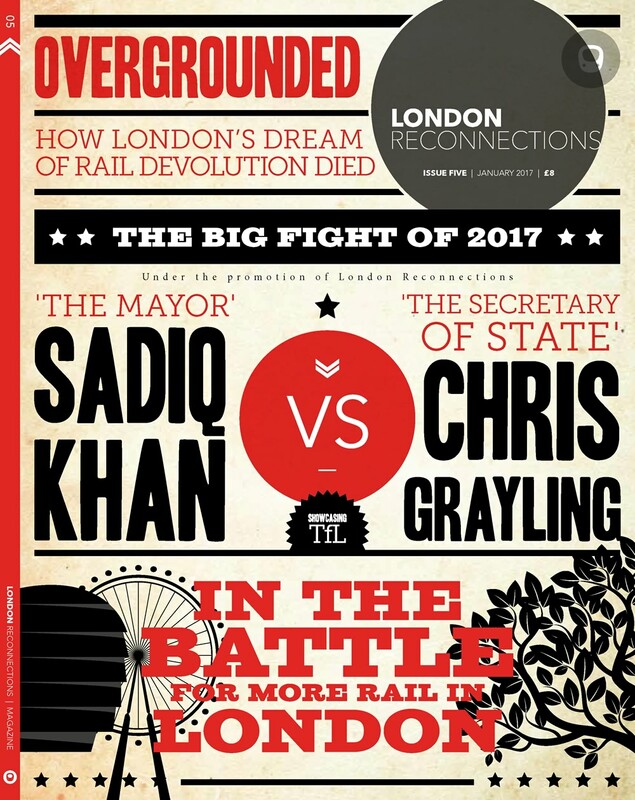 On the other side of the argument, Thameslink started off as an idea suggested by the GLC and the very successful East London Line extension only progressed when it was taken on by the GLA as a regeneration project. If a railway project needs to look at the wider benefits to make a good case it may well be no bad thing to have the current MP (of whatever political persuasion) give their support. And so at the end of March 2014 Amber Rudd MP held a rail summit to press for HS1 to Hastings and managed to secure the attendance of the Transport Secretary and a senior figure from Network Rail. Railfuture, not an organisation to miss an opportunity for publicity, publicly unveiled a painting of of a Javelin train at Hastings station as a hopeful sign of the future. At this summit we were assured of an “absolute commitment” from Network Rail to deliver HS1 in Hastings and Rye. This is strange because other messages from Network Rail suggest a commitment to investigate such a possibility. And quite how Network Rail would commit to doing this without yet having much of an idea of costs is hard to comprehend. It is quite amusing to compare the report on Amber Rudd’s website with the report on Railfuture’s website. For avoidance of doubt, they are both reporting on the same event. The Railfuture report talks of commitment to develop the project which is ambiguous but almost certainly only commits to developing plans, costing and feasibility with a view to taking it further if the figures stack up. With a note of caution one has to wonder to what extent this summit was seriously intended to achieve something and to what extent it was done to bolster the standing of the local MP. It is certainly the case that the talked about timescale of completion in 2019/20 looks very, very optimistic when one looks at the work involved. One cannot help wondering if this was suggested because it is immediately before the 2020 general election, rather than because it fitted in with any railway planning timetable. Given that we have just entered Network Rail’s Control Period 5 (CP5) which is where you basically spend the money on the schemes planned in CP4, it would initially seem highly unlikely that a start would be made before 2019 let alone a finish. Intentionally or otherwise, the fact that we now have fixed five year election cycles that are almost aligned with fixed Network Rail five year control plans almost makes it impossible for a politician to get involved with proposing or supporting a rail scheme and see any result before (s)he is next due for re-election. This would certainly appear to be the case here unless the government were to come up with fresh money rather than expect the scheme to come out of Network Rail’s existing budget. It would appear that supporters of the scheme could not really be serious about a 2019/20 completion unless they were also to argue that additional money should be made available, as all of the money in CP5 is already committed. Making additional money available might go down well in Sussex but could generate a different reaction in other parts of the country and may well be a net vote loser. The scheme itself, such as is currently known, and the advantages of it are well covered on the relevant page on the Railfuture website. It was also given prominence and appeared on the front cover of Modern Railways for June 2014. The details of the scheme won’t be repeated here in great detail. The details given inside the Modern Railways article were surprisingly sparse especially in relation to costs and that is probably an indication of where we are. In reality, in Network Rail speak, we are somewhere between GRIP 0.5 and 1.5. There is essentially a proposal to run trains from Hastings, or more likely Bexhill, or maybe just possibly Eastbourne, to St Pancras via Ashford. It it worth mentioning that, to a lesser extent, the economic issues that affect Hastings also apply to Bexhill – a little further to the west along the Sussex coast. A major problem with developing a proposal – even at this early stage – is that there are so many variables that interact. A Network Rail spokesman has suggested that one either does the full upgrade (linespeed, some re-doubling, electrification, level crossing elimination, direct service to St Pancras) or adopts a “do minimum” strategy for the line. It appears that the supporters concur but presumably that will only last as long as the full scheme looks like being a possibility. The argument for the above is that the first three elements previously mentioned are unlikely to show a good case on their own and without all three of them the prize of running the service to St Pancras would either be impossible or pointless, because the timing would hardly be better than at present. Level crossing elimination is a complicated one. It does nothing for faster trains but may become a necessary consequence of running either faster or more frequent trains. On a lightly used line an improvement in linespeed is unlikely to show much benefit unless it has a knock on benefit that achieves something substantial – such as reduction in the number of trains needed or running at a frequency (e.g. hourly) that otherwise would not be possible. One thing it could achieve is more stops, but some of the intermediate stations involved are in the middle of nowhere and incredibly lightly used. Alternatively, it could give the possibility of delaying the train for a few minutes at Ashford, if necessary, in order to allow for a connection from a late running train from London. Spending on a linespeed upgrade just to assist in ensuring connections are maintained is unlikely to make an economic case though – of course the less reliable the connection, the better the case that can be made. A further issue here is the extent of the increase in linespeed. What is being wanted is an increase from 60mph (or even 40mph in places) up to 90mph. This is not a minor tweak. Consequently one would expect it to be a fairly major operation to strip out what is there and replace it with a much better foundation. The marketing name of the line – Marshlink – certainly does not bode well when speculating on the solidity of the current foundation, although way back in 1979 the linespeed was 85mph (according to the history of the Line page on the Marshlink Action Group website). Raising line speeds will not just be a case of lifting up the track and repacking the ballast. Electrification on its own would be hard to justify despite not only the line being a “diesel island,” but also that we currently have diesel trains running over the third rail from Ore to Brighton which could also be eliminated. There would also be the issue of whether to electrify with third rail (the obvious choice) or overhead catenary which would appear to be the way of the future. Assuming Network Rail would countenance third rail then this is complicated by the fact that the case for overhead would be better if one had decided to run High Speed trains to Hastings, as these trains already have pantographs as well as third rail shoes and it is preferable to run dual mode electric trains using the overhead current collection where possible. Complicating the issue of electrification even further is that you really do not want to electrify the current track layout then alter it, such as by putting in longer passing loops, resulting in electrification work having to be undone and then redone. Of course this is complicated further by that fact that this is not nearly such an issue for third rail as it is for catenary. On the other hand, the sheer length of track that would need to be electrified (not much short of 30 route miles – roughly the distance of London to Gatwick) would suggest that overhead electrification with its lack of need for substations would win on any cost comparison. One factor that would help the case for overhead catenary is is that there are few road overbridges and the Ore tunnel is now single-track, which should mean there is plenty of of space overhead for the catenary. That does leave the Mount Pleasant tunnel between Hastings and Ore which is still double track but it is also currently electrified with the third rail and could remain so. Electrification of the Ashford-Hastings Line may seem an obvious thing to do, but as long as the Oxted-Uckfield Line remains unelectrified it is hard to see how a case could be made just on fuel savings and other operational benefits. The diesel units are only around 11 years old and have plenty of life left in them. It is true they have to occasionally return to the main depot at Selhurst but in terms of time this is not too terrible as it is simply a journey up the Brighton Main Line from Brighton. It is difficult to see the how cost savings could justify electrification of such a long section of track simply on the basis of eliminating diesel journeys and four or five two-car diesel sets. Diagram shows stations, double track sections and links to London. For some stations the number of trains per day in one direction is shown. an all stations service to serve the quieter stations. It is difficult to suggest a frequency but in London and the South East one would generally expect an hourly service as an absolute minimum, regardless of station usage, if that were possible. A semi-fast service to link the major stations between Ashford and Brighton of at least an hourly frequency, possibly omitting Eastbourne if a short section of cutoff track referred to as the Willingdon Chord were built. A service from St Pancras to at least Hastings, probably Bexhill. It would be hard to see the capital investment justified for just a peak hour service so this also needs to be at least hourly throughout the day. Even with the current timetable it is a struggle to provide a suitable service. One would have thought that a lightly used line with few stations would at least stop all the trains at the stations that there are. In fact that is not the case and Doleham get just four trains a day Mondays to Fridays and on Saturdays and Sundays only the first and last trains call there. It is the same for Ore, although this station is served by other trains that terminate there. Trains (on an hourly service) also stop alternatively at Winchelsea and Three Oaks except on Sundays when they too are reduced to first and last train only. As if to emphasise the existing potential, in the current timetable there are two short return journeys in each peak between Rye and Ashford International. They call at both intermediate stations. By using these trains one could travel in the morning peak from Rye to St Pancras in just 1hr7mins. In the evening one can even depart from St Pancras at 18:19 and be at Rye by 19:23. The problem for any future HS1 scheme is that not all the desired aims of the Marshlink timetable could be met simultaneously and something has to give. It could be that in the event of there being an HS1 service that the semi-fasts are withdrawn as the service effectively becomes possible by changing at Hastings (or Bexhill). That in turn will depend on the timetable for Sussex coast trains and how good the connection would be. It may then become apparent that one or two low cost upgrades along the East Coastway (East Sussex Coast) line would make a significant difference. And so on. There is a lot for Network Rail to investigate. A further, but hopefully lesser, timetable problem would be how to plan trains over any future flat connection at Ashford. If the proposals involved a proportion of an HS1 Domestic train dividing and joining at Ashford then that would also have to tested out in a timetable exercise for workability. On the subject of timetables, there is the intriguing issue of the January 2015 draft SouthEastern Hastings to London timetable having a new fast service from Hastings to Charing Cross departing at 08:04 and a Charing Cross to Hastings service departing at 16:20, offering a 90 minute journey time. This is just 22 minutes more than proposed by HS1 from St Pancras to Hastings. This new fast service is much faster than has previously been possible – and it goes to the popular station of Charing Cross. One wonders if this is an attempt to support the case for HS1 to Hastings and to do something in the long intermediary period before it can be introduced. Alternatively could it completely undermine the case for HS1 to Hastings? When the next major phase of the Thameslink work at London Bridge is complete and this train could stop at London Bridge, this would be down to just 83 minutes Hastings to London Bridge. Now this is just one train a day but it would take just a quarter of an hour longer than the proposed Hastings – St Pancras service. What this seems to show is that not only is there the complex issue of working out the best financial case for HS1 to Hastings but inevitably there is going to be the necessity of carrying out an equally thorough assessment of the alternatives. A further issue is the need to buy new trains. The original idea may have been to extend trains terminating at Ashford but they will be pretty well non-existent once SouthEastern implements its loopy service. So the presumption is that one would have to buy new trains to cover the entire journey from St Pancras to Bexhill. Based on a quoted time of 78 minutes from St Pancras to Bexhill then we are talking about an absolute minimum of a 3 hour out and back trip with 12 minutes stand time at each terminus, and that would mean 3 trains. 4 diagrammed trains would be preferable and that is before we allow for less than 100% availability. Southeastern has indicated that growth on HS1 means that the 29×6 car fleet of class 395s will need expansion in Control Period 6 (2019-2024) anyway. Here lies another potentially insurmountable problem with the optimistic timescales quoted elsewhere. Even if the scheme was a goer it would require rolling stock and it is hard to see, realistically, how this could be obtained other than by tacking it onto another order. One simply does not ask for bids for three or four high-specification trains and expect to get competitive ones. So any new rolling stock will probably have to wait until the 2020s when the order can be combined with a similar one. It is hard to see the SouthEastern TOC, whoever that may be, bringing forward an order for anyone else, even a sister company. It is also unlikely that, having decided they need the trains, they will then allow the first few of that order to roll off the production lines and be delivered elsewhere. Putting it simply, when taking advantage of another order one takes one’s place at the end of the delivery line and does not queue jump. One thing not mentioned so far by anyone is the possibility of needing a Transport and Works Act Order which in turn could trigger a public enquiry and the delay that involves. Conventional wisdom is that upgrades to an existing line on existing railway land do not require such formalities. Despite this it has come noticeable in recent years how once a need is shown for any acquisition of land or stopping up the highway is proposed for the purposes of a railway scheme, it seems that the entire scheme gets subjected to a Transport and Works Act Order and the nearly-always-inevitable public enquiry. So the closing of a couple of level crossings and their replacement with bridges (or nothing at all) may be enough to trigger the process. Recent precedents are not encouraging for those who would rather these things did not happen. A lot of Crossrail and almost all of Thameslink was work on existing railway land, yet the the entire scheme went through scrutiny by either a Lords committee or a public enquiry. We also have the more recent precedent of a very similar scheme which we have not yet had time to report on. The line from Bicester to Oxford has been closed to be upgraded with higher line speed, electrification and doubling of track. There was a small section of totally new track – the Bicester chord. Nevertheless the whole scheme and not just this chord went through a tortuous public enquiry and in fact very few of the many objections made related to the new chord. Also not encouraging is the fact that the Oxford-Bicester Line is expected to be closed for around two years for upgrade work and the scheme cost around £250 million. One does not wish to dampen enthusiasm for the idea of Javelin trains from St Pancras to Hastings but it is hard to come to the conclusion that it, if anything, is a long term solution – and if the figures stack up then we are talking around 8-10 years away before a viable scheme can be implemented. We are thus only at the beginning. The next stage would appear to be for Network Rail to do some detailed costings – assuming an argument about how much the cost of providing costings will cost and who will pay for it can be be avoided. Indeed Network Rail have effectively been mandated by the government to explore all the options for rail in Sussex so it could be argued that their remit requires them to do it. Only once we have some serious costings can one start to estimate the viability of the HS1 scheme. This will be challenging as one puts a value on non-transport factors (such as the effect on unemployment within Hastings) and it will no doubt will lead to a lot of political argument. Northern MPs will almost certainly put forward their case that the amount of money involved could be much better spent revitalising rail services elsewhere. As far as we are concerned, it is hard to see HS1 to Hastings as anything other than a possible long term solution. Unless Network Rail could be fairly certain that there was a both a viable case to be made and that they could be reasonably confident of implementing the scheme towards the start of Control Period 6 then they really need to plan their Sussex strategy on the basis that this scheme will not be implemented any time soon but might be eventually. This will be rather a challenge. It seems that the time has come therefore to forget about ways of relieving the Brighton Main Line in the immediate future that involve new or seriously upgraded alternative routes and get on with looking at how the Brighton Main Line itself can be upgraded. Thanks to Railfuture for background help and permission to use their image of a painting called “Shock and Ore”. .. and slightly expanded a couple of pages on. The government is upgrading domestic rail services to bring Ramsgate within an hour of London. High Speed 1 services to Hastings and Rye in the forthcoming Kent Route Study. The outputs from this study will be presented to the government for consideration in 2016, with a view to this work being an option for funding after 2019. No real promises though, just words. 1.328 – sounds like the (currently draft) sussex route study will tick those boxes when finalised. “re‑examination of the DfT’s feasibility study ” A genuine feasibility study may conclude that the idea is not feasible. And they are only going to examine it. @ Alison W – more meaningless Humpty Dumpty words from the government to make it appear that voting for Amber Rudd (MP for Hastings) and kicking out Norman Baker has had some effect. Looking at the Budget document there are a couple of interesting rail related items. £20 million in total available for projects. Really quite surprised to see Network Rail grant being routed back through the TOCs again. A bit worrying as it could be difficult to get cohesive investment on a route with lots of TOCs as they probably won’t agree. Rebuild: East Croydon, Windmill Bridge Junction and the other stuff in the Sussex series articles (Victoria, Clapham Jn P13+,…) don’t bother with Uckfield – Lewis as that isn’t the bottleneck. …..means that Amber Rudd is a very good constituency MP who wishes to show her electorate that she’s doing her best to fulfil her pre-election promises to them. I suspect somebody has earache, but she’s done what she set out to do. Let us see if she manages to dig the full rabbit out of the hat. @ngh – Uckfield- Lewis? The ultimate crayonista fantasy? (Sorry, couldn’t resist). population centres on the existing BML itself. I feel BML2-style ideas do a disservice to any proposal for a putative re-opening of Lewes to Uckfield. Any use as a diversionary route (for which it is not particularly well suited) should be secondary for the most compelling grounds for (long-term) consideration….a regional link Brighton-Lewes-Tunbridge Wells/Tonbridge-Medway relieving the congested and inadequate parallel A26 road. May one ask what is “this”? John U.K.: Rational plan was presumably referring to the original scheme in the article on which he placed his comment (i.e HS1 to Hastings). This may have been slightly obscured by the comments on this 3-year-old article, which admittedly ranged far and wide, including the Hebrides. [Reference removed – see comment below]. Re: Malcolm – as that article is over three-and-a-half years old, I for one wouldn’t trust it to shed any light on anything. [oops! Reference removed. Malcolm] However, the latest Modern Railways reports progress (but – in my opinion -without sufficient evidence to be sure it’s accurate). Re: rational plan – intrigued, tell me more! I’ve just skimmed through the Budget report without finding it (which admittedly isn’t conclusive evidence of anything). Oh dear, Government ministers becoming rolling stock crayonistas! How much would it cost to electrify compared with the incremental cost of developing and procuring a small run of 140mph capable bi-mode trains that won’t have the performance in diesel mode that the will deliver in electric mode. Then, how many bi-mode trains would be needed? 5 or 6, which, I imagine must need to couple to the class 395? This implies single source order to Hitachi, although this is true if they electrify. Whatever the solution, lets hope this time that DfT integrates between track and train. Hitachi built. 140mph capable. Useless diesels (although great up to about 40mph). Look like 395s. Sounds like something a little further West! Notice the weasel words from Grayling. He’s only looking forward to seeing the outcome of a study into altering the track at Ashford. That’s a very long way, indeed, from actually supporting a scheme, let alone finding any money for it. @ Quinlet – and we are almost into the third month of delay on the release of the South Eastern franchise ITT. The DfT have very little official scope to extend Govia’s existing, already extended lots of times, franchise. This leaves about 12 months for the DfT, bidders, lawyers, financiers and consultants to release the ITT, go through the inevitable clarification process, produce viable (hah!) bids, evaluate them, secure approval for contract award, award, standstill period, confirm award and then mobilise. Fact chance on what is supposed to be Mr Grayling’s “brave new world, I can do it better than TfL” franchise model. I don’t envy anyone on either side of the bidding process for that franchise! And I was expecting the final version of the Kent Route Study to be out by now. I wonder what has happened to that? Could they be related somehow? Given that it’s 3rd-rail … would extending the juice along the marsh actually be cheaper, especially in the long term, than a few special units & their maintenace/reliability costs? Mind you, this does require thinking in: (1) The longer term … & (2) Said thinking being “joined-up”. Readers may place their bets on this, whenever they choose. As the article points out, we are talking about a long distance – 30 route miles and with multiple substations required. Then there is the issue whether it is acceptable to roll out considerable route mileage with live ground-level contact rail in this day and age. I don’t want to risk repeating the discussion that took place when the article came out but will just point out that an advantage with the bi-mode solution is that it buys time and it is perfectly possible for bi-modes to be reassigned elsewhere in future. Much as we may hate them because they are a ‘cop out’ for the DfT when it comes to electrification and they are fundamentally inefficient, there are situations where they are probably the best solution and can help stimulate growth prior to a case being made for full electrification. Would a bimode be able to run at line speed on HS1? If not, it will consume capacity I suppose it could theoretically use some of the spare freight paths, but there is no guarantee that these will always be available). Graham H. No reason why a bi-mode couldn’t run at line speed. It would need to be developed or the Talgo bi-mode which has separate electric locomotive and diesel generator cars which would be a constraint as St Pancras. If they can’t run at line speed, the journey time saving is significantly eroded. I don’t think there is any requirement for the trains to run in diesel under the wires. I am not advocating this as a solution, just that it is faintly plausible. Re: GH – why would it need to? Line speed on HS1 is 300km/h but Class 395 max speed – and hence what we are aiming for here – is 225km/h. Class 80X design is – caveat alert! – I believe 140mph, which is also known as… 225km/h. Diesel capability of an 80X is going to be well in excess of what’s needed on Marshlink. Plus the fleet of 395s appears to be getting a bit small, according to what has been written here. Final point: Originally, bi-mode capability was not a cop-out for failing to electrify but a means of providing through trains between London and Worcester / Hereford / Cheltenham / Gloucester / Weston / Lincoln / Hull / Skipton / Aberdeen / Inverness (insert others to taste) while maintaining a common electric traction performance at the congested London end. Note that – at the very least – Oxford (for Worcester & Hereford) and Swindon (for Cheltenham & Gloucester) are not particularly suited to parking a diesel loco in platform to haul out an arriving EMU, let alone a loco swap. So, if we assume that electric performance is needed at the London end, how would these services be maintained without bi-mode? @ Balthazar. As you say, Electro-Diesel was originally a means of serving places off the electric core, but has become a cop-out for not electrifying e.g. to Bristol (from Parkway and Chippenham). In Diesel mode the trains are slower than the HSTs but may be able to catch up on the electric section. Can anyone tell me what happened to what I thought was the original idea of a ‘get me home’ low speed diesel option, supposedly for when the wires came down? (Although I don’t suppose a train would have been allowed to move if the wires were down). @Balthazar. Thank you. No,I did mean line speed which is what those other inconvenient Eurostar/Getlink thingies are doing on HS1. I agree that you could take in more 225 trains – but only if the paths are available. Running 225s in a 300 railway isn’t automatically a Good Thing. Rational Plan is correct, what speeds are deployed over the Marsh Link route are irrelevant to the capacity argument. They can bumble along behind an all stations dmu if need be. This discussion of bi-modes on Marshlink does prompt the question of “what problem are we trying to solve?”. (I have a suspicion that the underlying problem may be a tiny parliamentary minority for the Home Secretary, which will doubtless be fixed one way or the other long before any new trains can be built). @ Malcolm – surely it’s the issue that Hastings is over 90 minutes from London, despite being under 60 miles away? This issue generated the original proposal for electrification of the Marshlink Line and Javelins through to Hastings (and beyond). This then got East Sussex lobbying for it, and Grayling is trying to keep them off his back about it while not really doing anything – same as he did for London interests (that aren’t anywhere near as important for the Tories electorally) pushing for Crossrail 2 earlier in the year. The draft Kent Route Study, published in March (when Rudd was Home Secretary, but her majority was a seemingly secure 4,796 votes / 9.4% with the Tories doing better than 2015 in the polls), talks about bi-modes for HS1 to Hastings, after making the case for trains running that route, and also discussing electrification. Re: RogerB (1) – is it really a cop-out when outurn electrification costs are so high as to be unaffordable? Logically the alternative scenario would have been this occurring with construction well underway on a fleet of electric-only trains that could not be used. Under the circumstances, the cancellation of wiring is entirely logical (as in I think I would have taken the same decision, although I’d have spun it differently), and far from being a cop-out, the bi-mode capability means the new stock can actually be used. None of which changes the need for electrification costs to come down, but that is an absolute prerequisite to further extension of the wires. Re: RogerB (2) – the non-bi-mode (mono-mode?) Class 801 variant has a single vehicle per unit fitted with a standard powerpack to keep the auxiliaries and move slowly in emergency scenarios. The GW 801s are now being built as bi-mode 800s, but the East Coast 801 fleet remains on order. Re: GH – In that case the 395s need replacing rather than supplementing, don’t they? I rather thought the point was to ensure that all peak trains are full length, which the current size of the 395 fleet doesn’t permit. So given that you can’t get more 395s, it seems to me that you double up all the existing ones and then backfill with new build, with the additional requirement for Hastings making it a more reasonably sized order, as well as displacing 171s to productive employment elsewhere in the country. is it really a cop-out when outurn electrification costs are so high as to be unaffordable? This is the real centre of the problem, one that where Grayling has (IMHO) picked the wrong solution – he went for cancelling all electrification, rather than trying to reduce costs, &/or slowing the rolling electrification, whilst attempts were made to reduce costs. But this is really an entire subject in itself [Digression snipped. LBM] . Maybe, just maybe, given our current political circumstances bi-modes may be the best temporary solution. It doesn’t mean that we have to like it, though. @Bathazar – yes, I can see that, although it isn’t clear the business case for going to Hastings will support many new sets – how many would be needed to provide the *extra* service to Hastings? 4 or 5? Anything which added to the enhancement of the service at Ashford en route, as it were, from Hastings would need a separate justification. It’s never going to be a big order, tho’ – even including what’s in motion north of Ashford. 10 sets? Of course,we have no idea what timetable is supposed to be offered, but the above back of envelope figures may give some feel. Even the cost of 10 more sets would be a significant load on any business case. The offset of releasing some 172s isn’t going to be much either. The more interesting question financially is what savings might then be made on the present service – the politicians wouldn’t like to talk about that, of course. Re: GT – slowing the rolling programme seems to be what Roger Ford is predicting will happen in Control Period 6 (2019-2024) – see Modern Railways, December 2017, “Unravelling the CP6 SoFA”, under subheading “Adjustments”. One of the issues with the Marshlink line also appears to be that it has the potential to make useful cross country journeys that people do want to make – Ashford-Hastings-Eastbourne-Lewes-Brighton – but a 2 car DMU makes this less attractive, as does a change from DMU to EMU at Hastings. If one bi mode can do the trip this gets round both problems. Was there not talk of trying a bi mode Electrostar? Re: Anon 20.37 – I don’t think there’s much prospect of bi-modes coming off HS1 at Ashford making it all the way to Brighton. Could I politely suggest that you might re-read the article above…? In the Southern 2018 timetable change, the Ashford-Brighton service is truncated to operate between Ashford and Hastings only. This either reduces the overall requirement for DMUs, or enables longer trains to be run on a shorter route. However, it is not an unreasonable question by Anon 20:37 that if bi-modes were to be employed – be they of the Electrostar or class 769 variety – could a through local service be reinstated across Hastings, as all the indications are that HS1 would almost certainly make an intermediate call only at Rye. And in passing, cutting short the diesels at Hastings, as planned, makes better use of the paths on the Lewes-Brighton section, where such tiny trains are a bit of an embarrassment. @Milton Clevedon – that was then, when Hastings was still a genteel resort and fishing town (my grandfather was born there and we used to visit it in the ’50s) and Bexhill had enough style to attract iconic buildings such as the the De La Warr Pavilion. Those towns have fallen on very hard times since, as have most other coastal settlements with a similar past. I very much doubt there would be the volume trade today, I appreciate there’s the “shot in the arm” argument for new faster services to London but in the case of even Hastings itself, journey times are at the margin for what is an acceptablle commute, especially with the unsatisfactory siting of the HS1 London terminus -2hrs bed to desk is a likely minimum. I can see this whole plan rapidly becoming another extendador fantasy – Brighton lures – and soon the Hastingites will be holding meetings in caves near Lewes with the BML2 proponents. I jest, I think. I can’t help thinking that a bit of investment in line speed improvements and signalling could make the ‘direct’ route faster to the City than could ever be achieved via Ashford. 40mph Tonbridge – Hastings is pretty leisurely, and that’s the ‘fasts’. @RogerB: That could cost a lot…. The line to Hastings was built on the (very) cheap, hence the single track tunnels (the contractor ripped off the SER). Double track, but the tunnels had to extra-relined, shortly after opening, which always meant restricted-gauge stock & locos. Think of the characteristic sloped-in cab-sides of the Maunsell “Schools”, or the Hastings diesels, which were (are) also narrow. Hence, when electrified, with “normal” stock, thay had to go to gauntletted track, to make the trains fit. I am not sure how factually correct some of the recent comments are. I didn’t think that the Hastings Line was built on the cheap. It is slow but local geography means a fast route would be very expensive indeed. The issue with the tunnels was that the contractors carried out quite a sophisticated scam that wasn’t detected by the railway company until it was far too late. The contractor bought sufficient bricks for six courses of bricks in the tunnels (as specified in the contract) but only actually built four. Nevertheless everything appeared OK because they hadn’t built the unlined tunnels to the specified dimensions so as to compensate – thus saving themselves a lot in excavation as well as bricking costs. When the scam was discovered it was necessary to add an extra two courses – hence the narrow bodied trains used for the line for many years. It is said that a surprising number of houses in the area are built of exactly the same colour bricks as the those used to line the tunnels. When the Hastings diesels were replaced three of the tunnels were singled and the other had slab track to enable the extra clearance to be obtained. I don’t think they used interlaced track as that isn’t used on Britain on permanent layouts on National Rail. Only Croydon trams use it (in two locations) as far as I know. The American term is gauntletted track – actually it is gauntleted track because Americans have funny rules about doubled consonants. From a historical perspective Milton Clevedon is quite correct but equally Graham H’s comment is also true. Nevertheless, one could say much the same thing about many coastal towns in Kent (e.g. Whistable, Herne Bay, Birchington, Margate, Broadstairs) so it is only an accident of railway geography that means that these Kent coast towns get an excellent service on HS1 to London and the equivalent Sussex coastal towns get a pretty awful one. A request for clarification. The usual meaning of a course of bricks is a horizontal row. Presumably, to make sense of the story, it has to be six layers of bricks which were specified. Whether this meant a lining thickness of six brick lengths, or six brick widths, and what bond was specified, is left as an exercise for the bricklayer. Malcolm, picturing the brickwork at the centre the tunnel arch the bricks are normally laid on edge, in courses. Where these curve round to form the sides I think they are still referred to as ‘courses’. Could the line speed not be improved without enlarging the tunnels? Faster turnouts at each end etc? HS1 is kind to the towns PoP mentioned, but even kinder to some others. In order of fastest train to London, the list (of those I looked at) goes Folkestone (55 min), Rye, Dover, Brighton, Ramsgate, Whitstable, Hastings, Broadstairs, Margate, Herne Bay, Birchington, Eastbourne, Bexhill (104 minutes). RogerB: Ah, I see. I was thinking from the bottom upwards (the usual order of building walls), but clearly starting at the top gives a different result. As for the line speed, it seems to be fairly hilly and twisty, which I would have thought has more impact than turnouts, but how much improvement is possible and what it would cost are rather beyond my guesswork powers (though those with better fag-packets than mine are likely to give it a go). The easiest way to speed up the service, and what is currently done, is to omit station stops. Unfortunately, the benefit is slightly lost because these trains join/divide at Tunbridge Wells so losing some of the time they gained. Bear in mind that a Tunbridge Wells – London Bridge service stopping only at High Brooms takes 44 minutes (and, supposedly, a further 13 minutes to Charing Cross). So it would probably be more cost effective to look for improvements north of Tunbridge Wells (and north of Tonbridge even more so) where the benefits would be shared by more services and lead to improved journey times for more people. Also, the power supply south of Tunbridge Wells is abysmal – all part of getting costs down so Maggie couldn’t say no to electrification. It really should be upgraded but it is very hard (i.e. impossible) to produce a business case to do so. Without a decent power supply, there is probably not much point at looking at line upgrades. Note: Anyone who suggests bi-modes will have their comment deleted. What the good folk of Hastings (and their Parliamentary representative) appear to desire is a shorter journey time to London. Improving line speeds is one way, but rarely cost effective (or much use) on shorter journeys with lots of stops. Running trains fast with limited or no stops, however, is a rather cheaper solution. A Hastings to St Pancras service won’t stop at St Leonard’s, Battle, Tunbridge Wells etc, so there would be no need for a fast Hastings to London Bridge / Charing Cross to stop there either. Such a service could do Hastings to London Bridge in around 70 minutes. Assuming a path could be found, which would be a challenge but not impossible. You’d only need a 4 car unit, and it would be a poor use of capacity into central London, but it would offer the same benefit for Hastings at very little cost. Then we would see if there really is demand for faster services, without spending a lot of cash on new track at Ashford and an expensive micro fleet of HS hybrids. Brick courses – The correct technical term in an arch for each layer of bricks (or stone) between the intrados and extrados is “Voussoir”. Sad Fad Dad, thanks, that’s what I was getting at. NGH – I love the notion that “elimination of diesel by electrification” was preferred to “electrification to eliminate diesel”; very sophisticated business case! I suppose there were “do nothing” and “close it” options too! @130 – certainly there were do nothing and close it options evaluated. No10 would have demanded the latter and wouldn’t have otherwise been convinced, As you may imagine, having the closure option sculling around was a particularly sensitive matter… the board was all too prone to leak. Just to prolong -but hopefully not too much – the discussion about the decline of coastal towns. The general experience at BR was that coastal towns (eg in Thanet) underwent a mark upturn in traffic following electrification. However, the inhabitants stayed put and retired there, leading to a noticeable drop in traffic about 20 years later. Matters were made worse because of the policy of many London boroughs to use B&B accommodation for homeless families (I saw this at first hand when I had the Homelessness desk in the combined DoE/DTp). The combination of these upsurge in the proportion of retired people and the rise in the number of poor people led inexorably to a shortfall in spending power and a run down in the towns affected. Some towns – noteably Brighton and Bournemouth in the south, escaped as they had a different economic base and a better housing stock. Many such as Hastings and Ramsgate/Margate did not and remain problems now. It is true that HS1 has lifted a few places -those with a good housing stock, such as Deal. It’s difficult, too, to see settlements with a stock that is predominantly bungalows (Newhaven, Worthing etc) ever becoming commuter territory. Many such as Hastings and Ramsgate/Margate did not and remain problems now. Nothing new in the current trend of some London Councils to export some of their problems 30+ miles from London! Would a passenger train with a tankful of diesel be allowed in the HS1 London tunnels? The YouTube doesn’t show an obvious Loco – I had found that one & unfortunately, not the chocolate version ( YUM! ) either, but .. Many thanks for the Krupps tunnel-loco piece. So the answer to the original question is: YES – diesels ( properly accredited ) are allowed. I note that the Kent ITT has proposed that the Hastings – Charing Cross trains will be fast from London Bridge to Tonbridge. This should speed up the Hastings services, reducing the effectiveness of extending HS1 down the Marshlink line. @Greg T: But the Orient Express didn’t have passengers on board, did it? And operated after the end of normal services. There is precedent. The first e320 was delivered for a celebration at St Pancras by a pair of diesels too. They used a headshunt at the north of the station to turn the train so the diesels that hauled the train on HS1 are at the country end for the event. How much time will fast from Tonbridge save? To compensate for the Hastings services running fast, the ITT wants an extra 2 trains from Charing Cross to Ashford, So there will be 8 fasts and 2 slows south of Orpington per hour off peak. Is it known yet whether the Thameslink London Bridge to Maidstone will be running on the fasts to Bickley to make it 10tph, or interleaving with the 4 slows? Either way there will be fast-slow movements as those trains join at Bickley, so will the (recently rebuilt) points there be a bottleneck? Is Bickley the same as Chislehurst? I assume that Maidstone trains from London Bridge would cross the up slow line immediately south of Chislehurst and travel through St Mary Cray to Swanley. 2. Increased freight traffic from the Channel Tunnel through Ashford International, Redhill and on to Reading (with track alterations at Redhill)? Tonbridge levels and proximity of the junction to the road bridge and platforms absolutely kill any grade separation (unless there was a magic money tree to fund an entire low-level station excavated beneath the existing one). The distance between the platforms and the pointwork for the Hastings line is considerably less than six carriage lengths, with the road bridge hard against the platform ends (it also carries the station building).